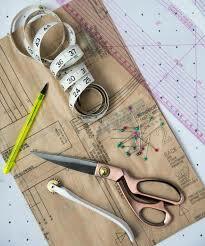 Fabrics products fabrics paints, sprays and cuttings tools like scissors. Make Your Own Monster! With Faux Furry Fabric. Its so easy to make your own monster! All you need is some faux fur fabric, stick on eyes and your imagination! You can create any personality you want for you monster. Cute, mischievous, angry, shy, silly or serious. 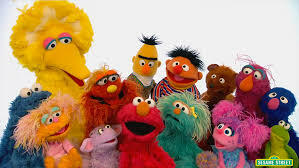 Look to Jim Henson’s masterpieces Sesame Street and The Muppets for inspiration. Make a grumpy grouch like monster like Oscar the Grouch, a kind character like Grover or a fun loving monster like Elmo. 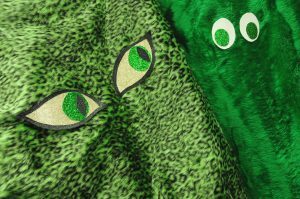 Make a puppet monster to have at your side, or make a costume for you or your own little monsters! 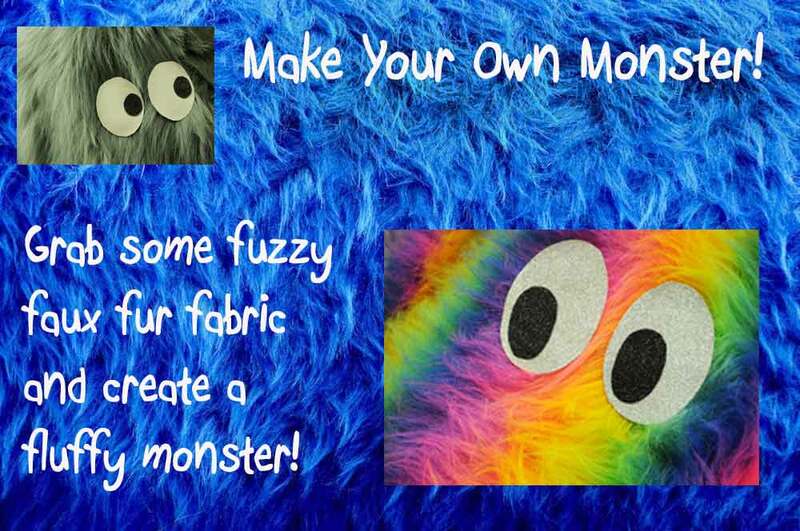 Click on for some monster ideas with personality and get creating with our furry faux fabric…. Halloween has become an annual excuse to dress up, and why not?There are so many directions to go, it’s an ideal time to come up with some wacky ideas. Halloween has come a long way from doom and gloom displays and standard spooky scenes. Halloween has personality, everyone has their own version and ideas have gone way beyond witches and ghosts. Halloween dress up has grown from classic horror inspired themes to the weird and wonderful. Anything goes now, cute monsters, glamorous Gothic, sci-fi, horror, or fantasy. You don’t even have to go for a creepy theme, funny is the new Halloween scene. You can add a twist to the traditional or come up with a personal pun related costume to get the laughs. Whatever you go for, have fun with it. You don’t have to spend too much time or money on a costume to get a great effect. Here are some quick fire ideas you can play with. 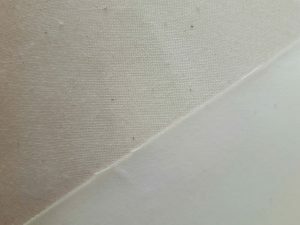 Easy to use fabric for quick costume ideas for all ages and themes. Click on to see …. 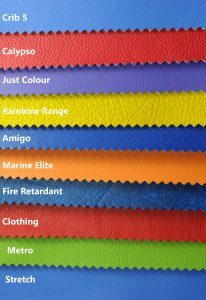 PVC Coated Panama, The Party Fabric! Tough, durable, waterproof,colourful and clean. Wipe clean. 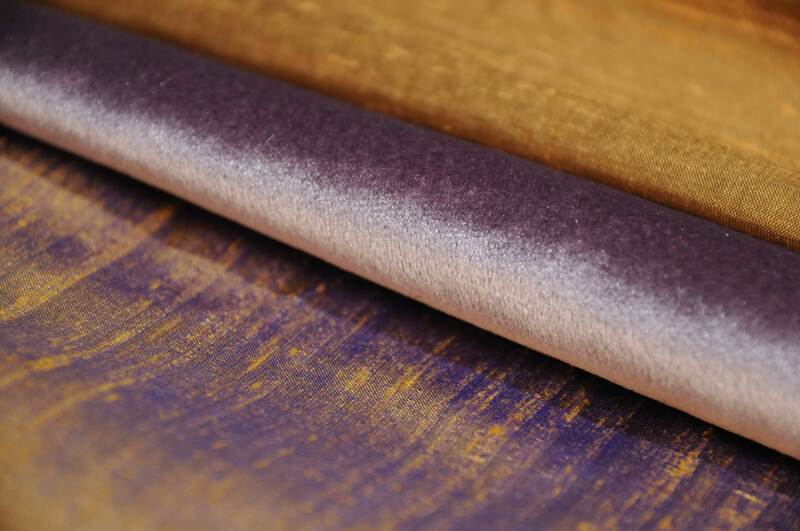 With 18 colours available from bright to subtle, you can match the fabric to your decor. 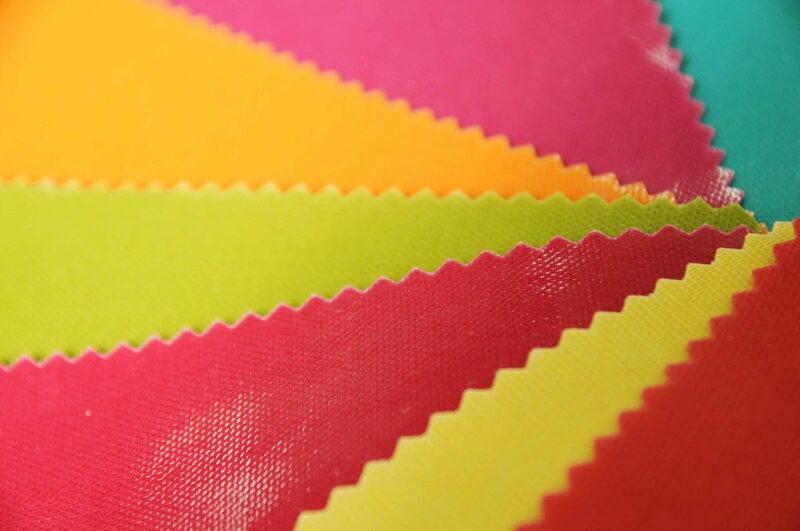 There are many other waterproof fabrics out there to choose from, but PVC Panama is particularly good as a protector due to the weight and the thick PVC coating. The fabrics itself is made from a strong plain cotton drill which is then oil and PVC coated. 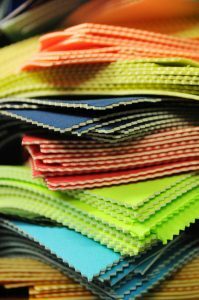 This creates fabric that can withstand constant tough and practical use. We have a samples department run by a dedicated member of staff who’s sole job it is to pick and post the samples to you. 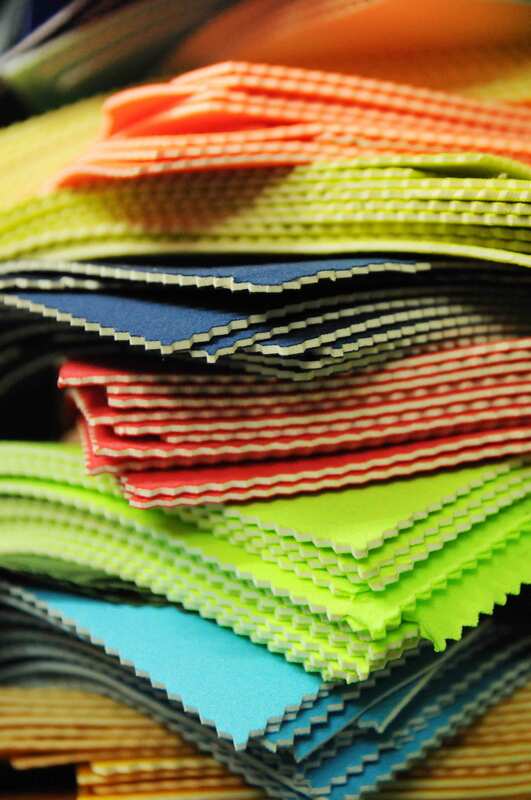 We have a strategic method to ensure each of the fabrics gets a place in the samples department. 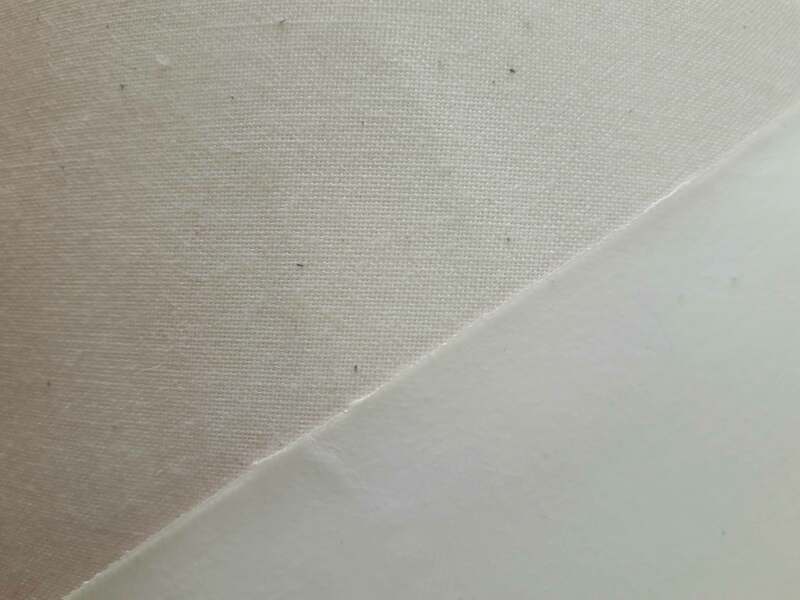 New fabric has a strip sliced off then cut into smaller portions with a pinking guillotine. These are popped into clear wallets with its own spec sheet, to keep them clean and separate from other samples. The wallet is filed into its correct box -file. 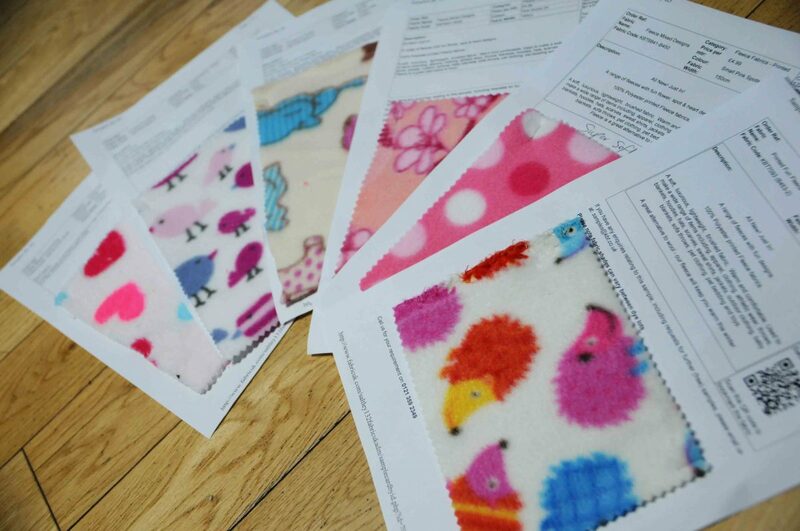 So when you call us, email or order online, the pre-cut samples are ready and waiting to be picked and posted straight to you with its own spec sheet attached. From How? 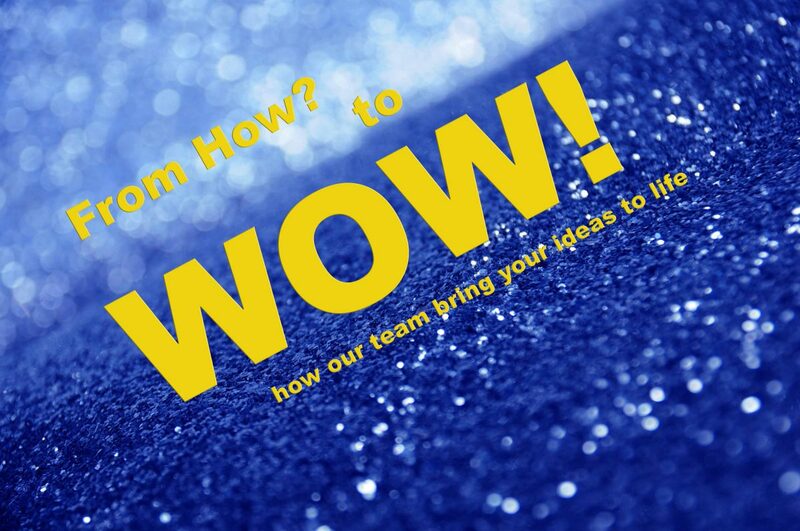 To Wow! 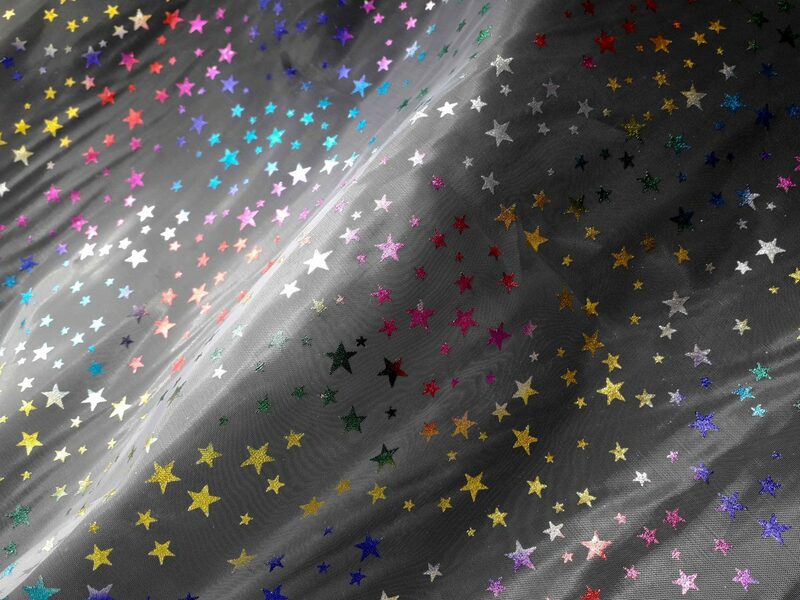 Bringing Your Fabric Idea To Life. 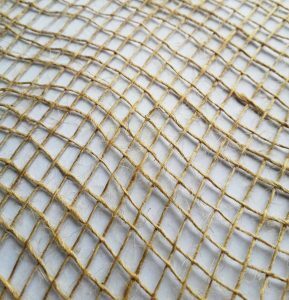 New to our hessian range is a simple large holed net fabric, known as hessian scrim. Lightweight yet heavy duty, the structure may be basic but this fabric shows a lot of versatility from creative projects to industrial use. 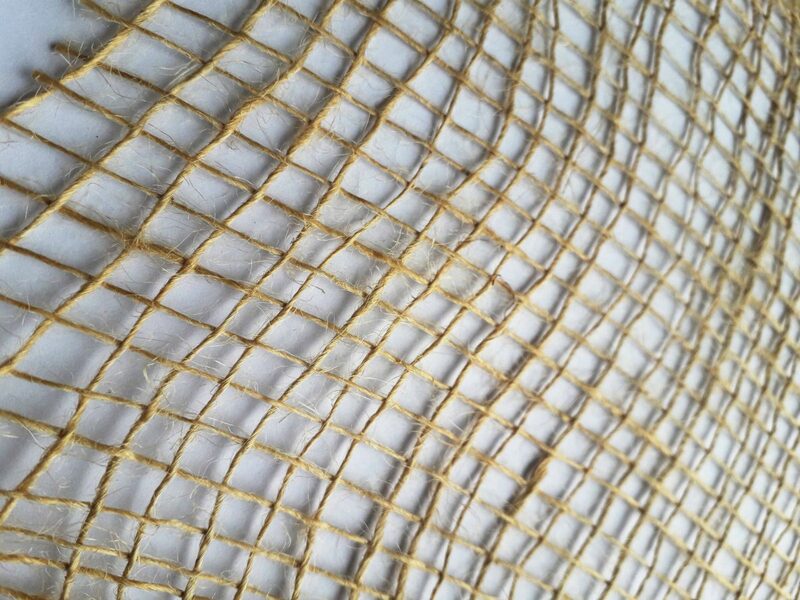 The netting is made from 100% natural and biodegradable hessian yarn loosely woven into roughly 1 cm square mesh. 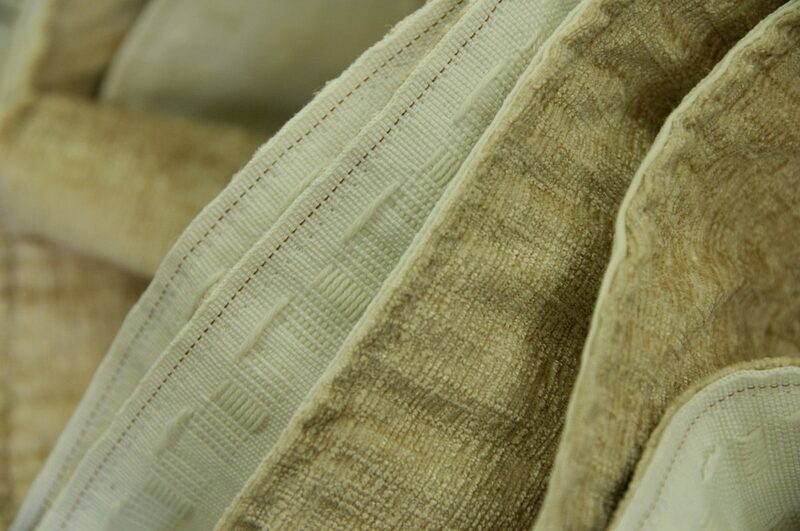 The hessian is woven in a natural state so the yarn is rough and taught with no stretch. 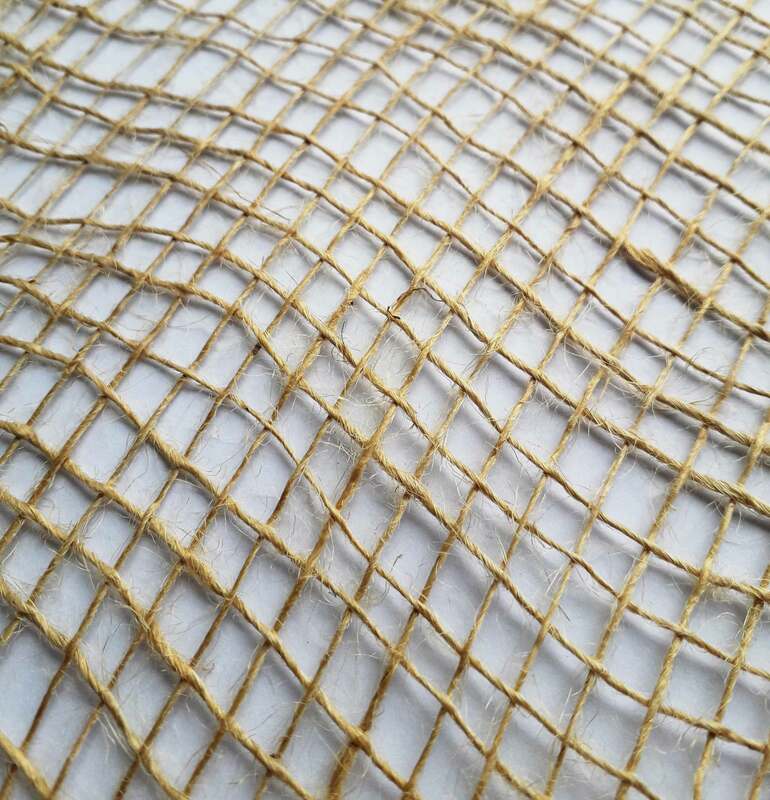 It’s these attributes that make the hessian net so hard wearing and a great multi use fabric. A classic calico with a clever twist. Not only is it waterproof but its fully biodegradable too. 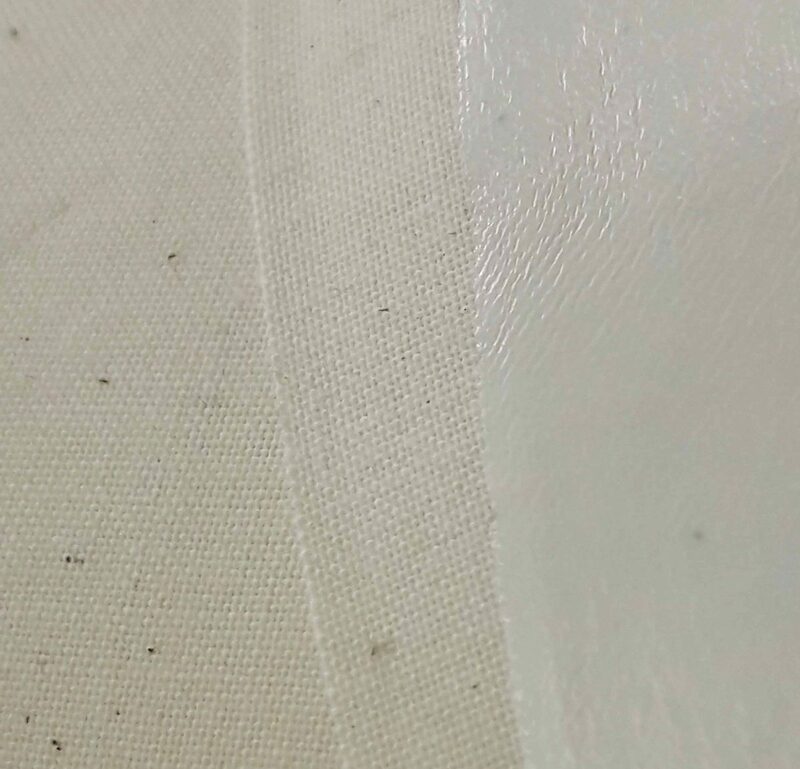 The back of the fabric is coated with a white coating designed to block water coming through the fabric. This coating was designed to gradually disintegrate in time. 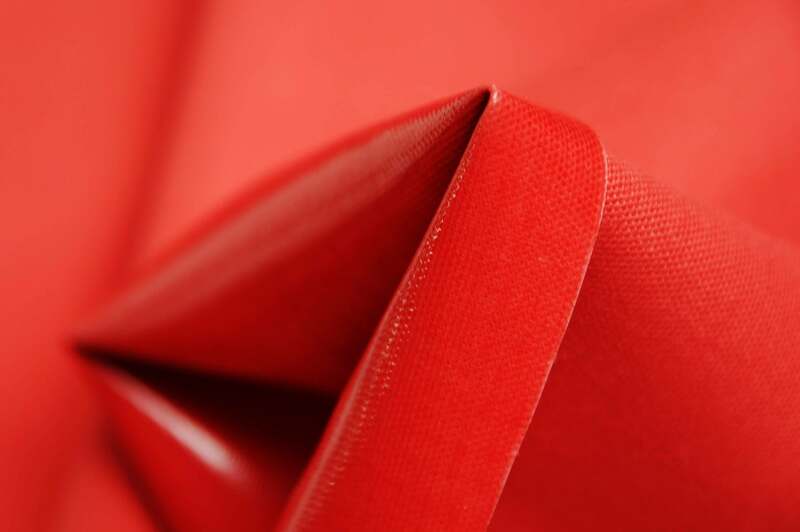 This unusual coating is unlike most other PVC related products. This will certainly help towards you doing your bit to help our environment. So you have a great idea and want to run with it, what now? We will help kick-start your project and work with you to build your idea up to production level, and even produce the items for you. 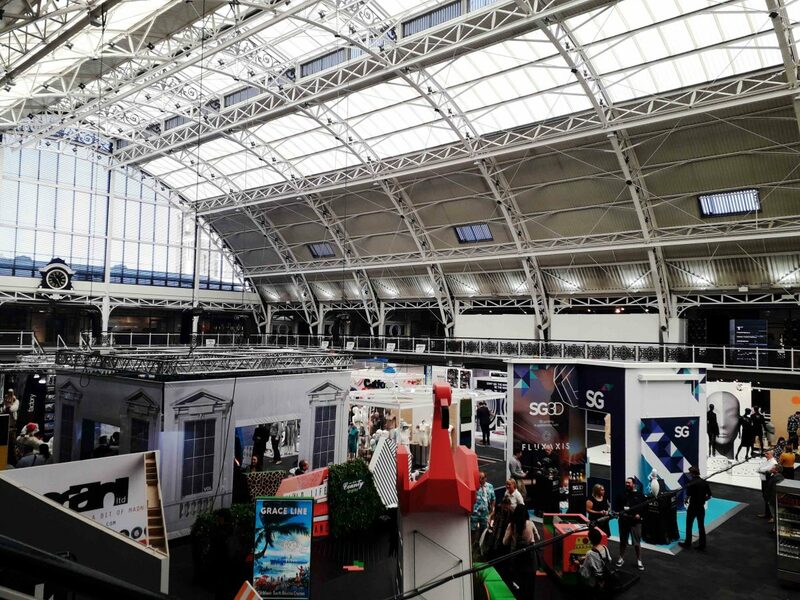 If your product can be created with our expertise, we will stick with you through the whole process, from sketching out your idea and producing your first batch, to working closely with your business as a regular supplier and producer of your products. Together, our fabric experts will use our knowledge bank to get to grips with your idea, make suggestions and ensure the project stays withing your budget and is comes to life exactly how you visualised it. You don’t have to spend out loads to achieve a shady haven, there are options for all sorts of pockets and all sorts of gardens. Get creative with your ideas, shading from the sun is a practical necessity but you can have fun with your outdoor decoration! 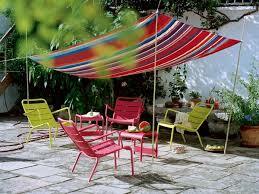 Go for what ever colours that attract you, after all its your shady haven to relax in. Choose your colour awning and work your design around that, mix colours if you want or keep with the same shade group, go bold or pastel but make it your place. Have a look at the many ideas to emulate on Google images or You Tube, most are easy to follow and inexpensive and fun to make. 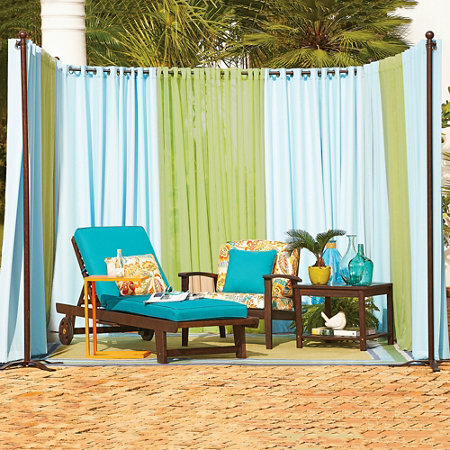 Using acrylic awning fabric for these outdoor ideas is a sensible way to make them to last. Investing in good quality outdoor fabric is still a cost effective way to create protection and shade in your garden without breaking the bank. 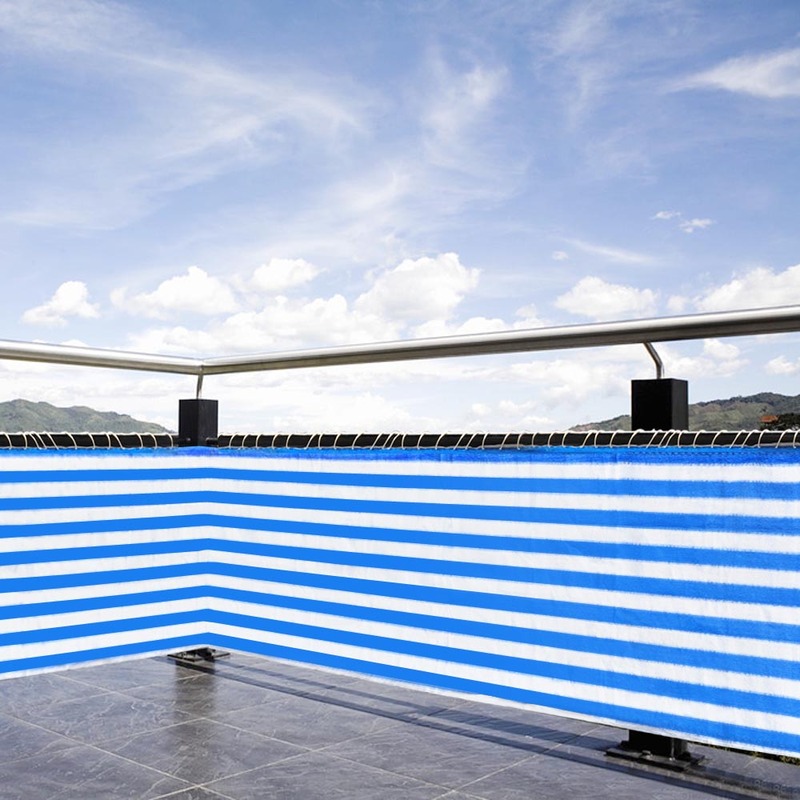 This fabric will really last, its designed to withstand chaotic weather changes from frost a heat wave and because its UV colourfast it’s colour will stay true under the glare of sun.